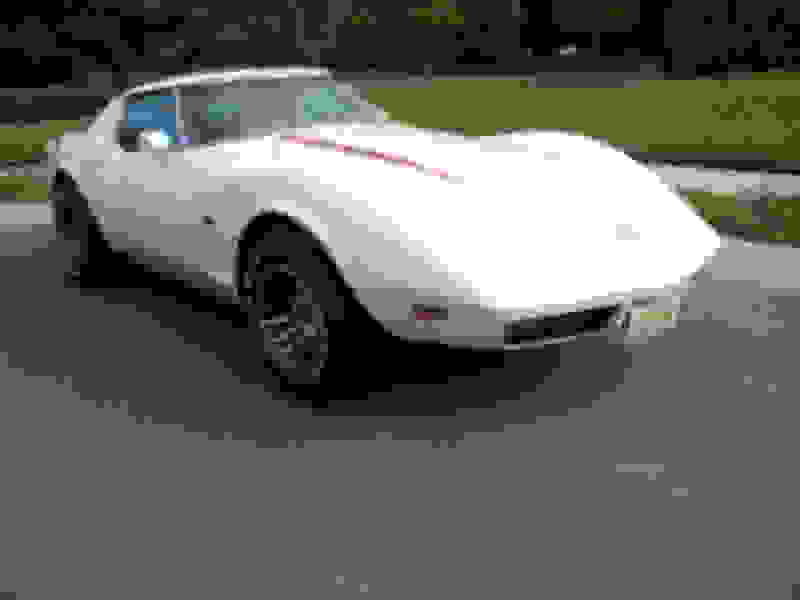 No - as a general rule Chevrolet did not install tires on Corvettes produced between 68 and 82 (or any other year) which rubbed. Bias ply tires fell out of general usage on 'street' vehicles roughly 4 decades ago. However Coker and possibly Kelsey offer reproduction bias ply tires which are popular on show cars for example. Thanks for the explanation, looks like I'll still be able to run 225/75R15 tires without any problems at all. Previous posters had mentioned that the 255s would rub and that the 225s wouldn't work on 8 inch rims. If GM fitted the smaller 215s on the 8 inch rims, then I guess that I'm good to go with the 225 tires which is really what I'd hoped to use. Again, thanks for clearing things up for me, with every post/answer/comment I was becoming more and more confused ! Time to order up a set of tires and move onto the next item on the (long and getting longer) list. I'm really hoping to make some good progress on the car over the coming Winter and Spring. TC - in looking over your subsequent posts - wanted to get back to your original post which nails the essential question. Assuming you have found a set of 8" wide wheels - the original tire was GR70 and that equates to 225/70R15. There's a # of standard highway radials in that size from major tire manufacturers - some with cosmetic sidewall treatments to give an appearance of 'performance', all with generous load capacity and will be acceptable for street or reasonable highway speeds. I have no experience with reproduction bias ply tires but my opinion is they might be best for a show car vs a 'driver'. Get w/ your local tire shop - they'll take care of you and if you have concerns - they can perhaps 'trial fit' a set for you. Good luck and post a pic after they are on! I'll post as soon as I get the tires mounted and such, thank you again for your clarity, information, and help ! ! ! Firestone tires taken a few days ago. I guess today's (this week's) diatribe here will be about tires. I wouldn't "stretch" a tire onto a rim wider than the tire manufacturer specifies. If I absolutely had to do that, I'd contact the tire manufacturer first, and find out what other adjustments would be necessary to operate the tire safely on the wider rim. I have to admit that a ½ stretch on a 225/70R15 is relatively minor, and a C3 Corvette is relatively light compared to the load capacity of the tire, so it might well be possible to safely operate tires under those conditions with an upward adjustment to tire pressure. The big issue with the 225/70R15 size is the way the target market for that particular size has changed over the years. 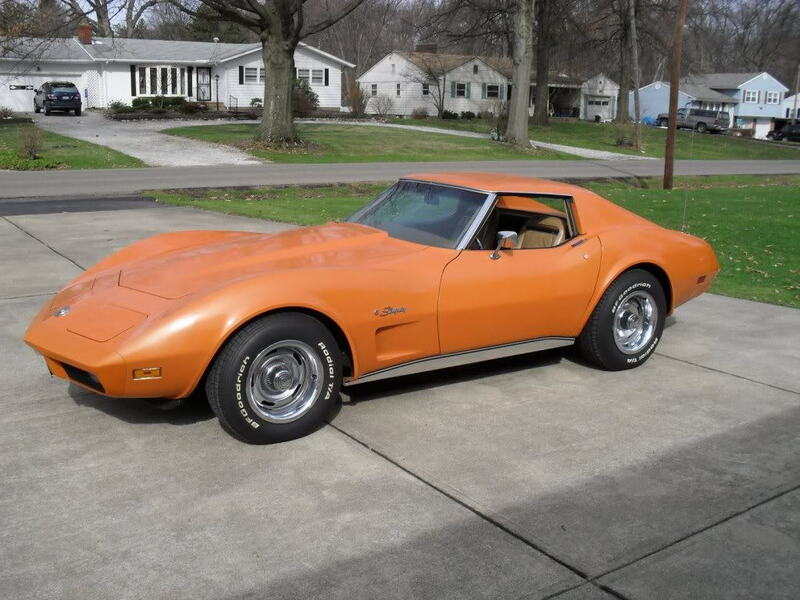 When the C3's were new, "70 series" tires were low profile, wide tread "performance tires." That size was used on sports cars like the C3 and sometimes on "pony cars" and other performance variants/"factory hot rods." In those days, that size tire was designed to work on at least an 8" wheel, and some back in the day could be fitted to 8.5" or even 9" rims. Over the years, that size became the tire of choice for large sedans (a whole lot of Crown Victorias used that size), and after that, it became a "small truck" tire. The mid 2000's Ford Rangers use that size. The market changed and the tires in that size had to work with narrower rims. As that happened, tire manufacturers changed the design of that tire size to match the wheels it was being installed on. When you "stretch" a tire onto a rim wider than the tire is designed for, you end up with the center part of the tread not adequately supported. The angle of the plies and the molded rubber at the shoulder will bow the center part of the tread inward, toward the wheel. Effectively, the tire becomes "underinflated" and tread wear will be concentrated at the outer edges of the tread. The load capacity is also severely reduced because You aren't using the entire tread of the tire to support the load, and handling is compromised because the center of the tread isn't as firmly in contact with the road surface. You're effectively riding on "dually bicycle tires," not the entire tread face. More air pressure can help counteract the effects of using a wheel that's "a little too wide." That will make for a slightly stiffer ride, and the change in sidewall geometry from the "a little too wide" wheel will also stiffen the sidewalls, stiffening the ride but also reducing "rollover" of the tire in extreme cornering. 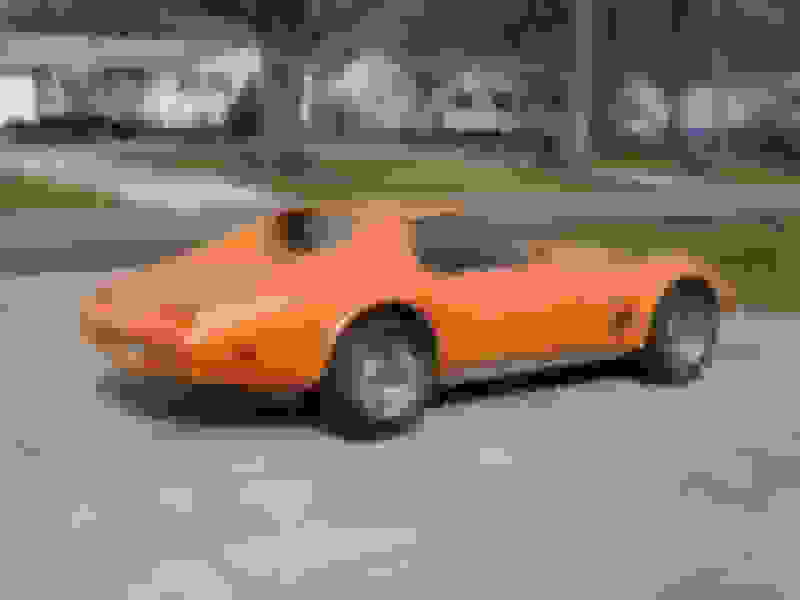 The C3 Corvette is probably light enough (compared to a fully loaded Crown Vic or a fully loaded Ranger/Explorer truck) that increased tire pressure could correct the issue. But I wouldn't believe "some guy on the Internet" for that, I'd want to talk to the technical/engineering folks at the tire company and get their recommendation. I will say that 1/2" on a 70 series tire is a very mild stretch, and you'll have far fewer and less severe issues than the kids trying to stretch 225/40R18's onto 10" rims. The last 225/70R15 that I remember being specified for wheels up to 8" wide was the BFG TA's. It's been maybe 6 years (maybe even 10 years, damn, I'm getting old) since they changed the specification sheets on that tire (and probably changed the design slightly) to allow it on 6" wheels and reduce the maximum rim width to 7½ inches. Today, I would strongly recommend 255/60R15's for C3's. If you have clearance issues, drop back to 245/60's, perhaps only at the front. The front seems to be where the clearance issues come into play. Usually, refreshing worn parts and doing a proper alignment will cure the clearance issues, but I've seen a few that still had issues with new parts. Using the 245/60's at the front will give you a bit of "rake," and won't affect the accuracy of the speedometer. Last edited by C6_Racer_X; 11-09-2018 at 07:26 AM. Now even MORE confused, different folks and vastly different facts and conflicting opinions. I just REALLY don't like the look of the larger tires, Peterbuilt's tires look like flotation devices on the car above as opposed to the stylish, balanced look of the originals. The only viable solution here seems to be to sell off these eight inch rims and find a set of narrower ones. No big deal ,they only cost me $200 with trim rings and caps. Again, thanks for the advice/comments, time to look for a sale or a trade. I appreciate the knowledge, to think . . . only a post or two ago I was ready to order up some tires and call it done ! Considering the total lack of horsepower and the weight of the car, I may well just run the original style bias ply and totally get the look that I'm after. Think that I'll put this off until after the Holidays, too much to consider, you know? To throw another log on the fire, no one has mentioned P245/60R15s. 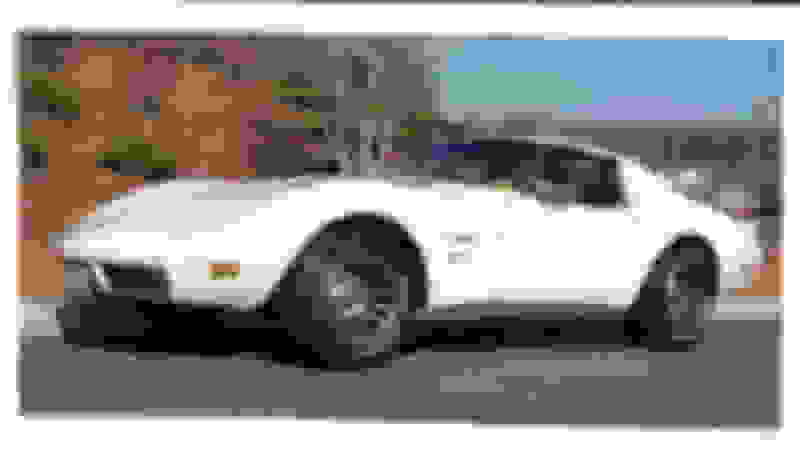 That size is offered by BFG in the Radial T/A and Cooper in the Cobra Radial G/T line. They both recommend a 7 to 8 1/2 inch rim width with a diameter of 26.6 or 26.5 inches. Compared to 255s, that's less than 2% greater revs per mile and may alleviate the potential interference on the front tires. Bottom line, eventually those beautiful GM ralley rims will become yard ornaments when we can't buy decent tires in 15" sizes. Last edited by slammin; 11-09-2018 at 09:21 AM. ...my '74 with the P225/70s all the way around. "...my '74 with the P225/70s all the way around." No questions just PERFECT ! And I love the stance as well, it's exactly what I'm shooting for ! ! 74Ken's ride it way too high on the back while Peterbuilt's is dragging it's ***. Yours is Goldilocks . . . just right ! ! Thanks for your photos and information, you give me hope here. I'm gonna put my fingers in my ears and not listen to anyone else, a set of P225/70s is what I'm getting for sure. 74Ken's ride it way too high on the back while Peterbuilt's is dragging it's ***. If you think this is due to tire size, you need to do more research. It is ride height not tire size that makes 74Ken's higher in the back. Do you know what aspect ratio is? I own (2) 74 convertible Vettes and I keep everything stock. The CORRECT size IS 225/70/15 and the last time I bought tires, there were only a few tires in this size for a corvette. They are BFG Radial T/A (over priced), Cooper Cobra (nice and just a little less expensive). I ended up buying some KUHMO sport type tires (can't recall model name and car is at a storage facility), but they don't have white letters. I was about to go with some Hancook tires, but when I put them next to the old ones I was replacing, it appeared that they were just a bit narrower in width. These KUHMO's have 70,000 mile warranty and were much less expensive if you don't have to have white letter sidewalls. 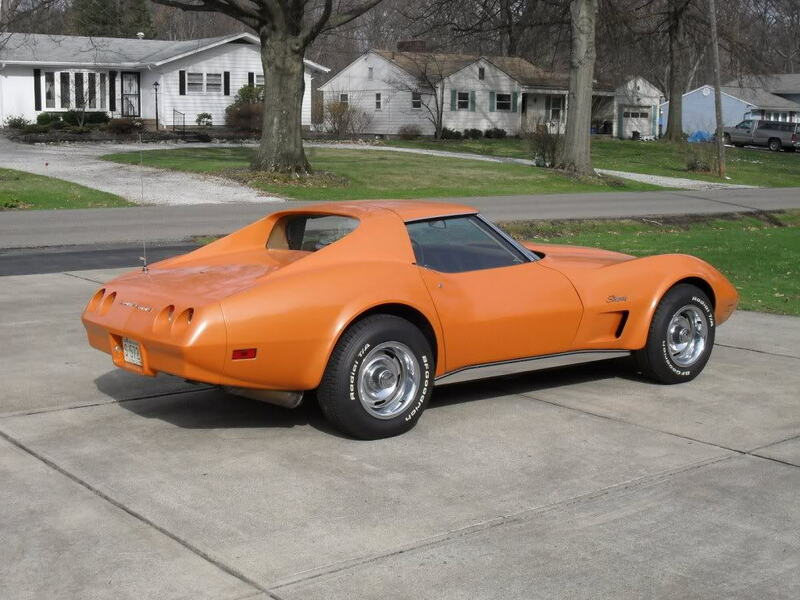 I also had a 1979 with same base size tires, and you could put on the factory optional, wider size 255/60/15 tires, but you may have to cut a 45 degree angle in the very bottom of each front fender for the tires to clear when you turn. I know that most 79-82 models had the larger size, but the fenders were cut at the factory for clearance. This info. IS CORRECT for factory stock sizes. Hope this makes your decision easier to make. The reason your Kumho's have a 70,000 warramty is because it has a very hard rubber compound, not the best choice for a performance car that gets driven aggressively. Don't let things get over complicated here about the 'rim width' thing - 225/70R15s have been and will continue to be the correct modern day size for your year C3 with original 8" rims. You can go to major tire manufacturers and tire retailer websites and enter your year make model and you'll get back 225/70R15 every time. 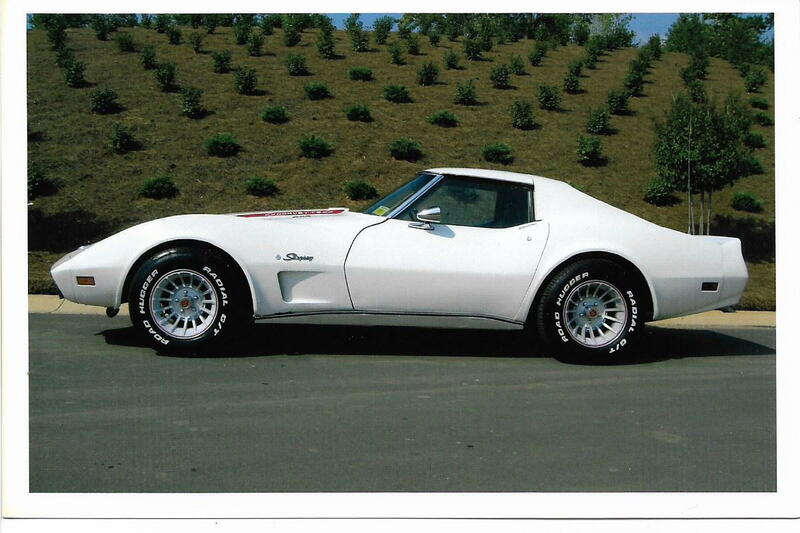 Corvette C3 models combined P225/70R15 sized tires on 15x8" rims. [This] application meets the specifications of the vehicle manufacturer. I went to tirerack.com and plugged in my '70 C3 and 205/75-15 popped up. On tiresize.com when I plug in 255/60-15 it shows a rimth width of 7-9" is acceptable. Do you think Discount Tire would mount 255's on my 8" rims if there was a potential isssue??? I would guess that size will indeed fit - I think it's the modern standard tire size for C2s. If you change the year to 73 or newer, tirerack will identify the 225/70R15 tire. Sure. The 255/60R15 is acceptable for your rim width. It's on you to check front fender clearance especially with wheels turned lock to lock while considering suspension travel. For all 68-82 C3 years 68-82, 225/70R15 is the standard modern tire size that will fit all around. For 68-72 owners who want the original vintage dimensions of the F70x15 tire, the 215/70R15 is your modern option. For 78-82 C3s - the 255/60R15 was an optional OEM size (see comment about fender trimming). It 'can' also fit on earlier years but you want to be careful as to front fender clearance. shock part number 4975487 ?